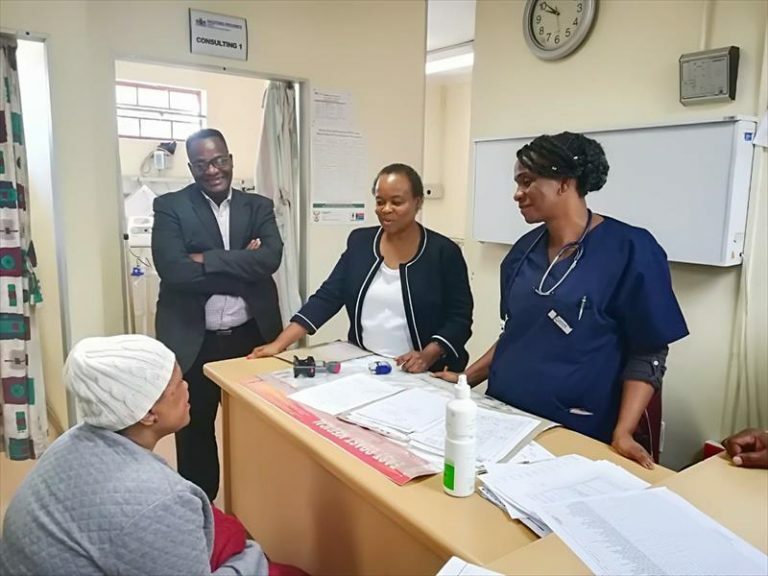 Gauteng MEC for Health Dr Gwen Ramokgopa joined Stanza Bopape Clinic staff in Mamelodi on Tuesday. MEC Ramokgopa worked a shift at Stanza Bopape Clinic in solidarity with workers. 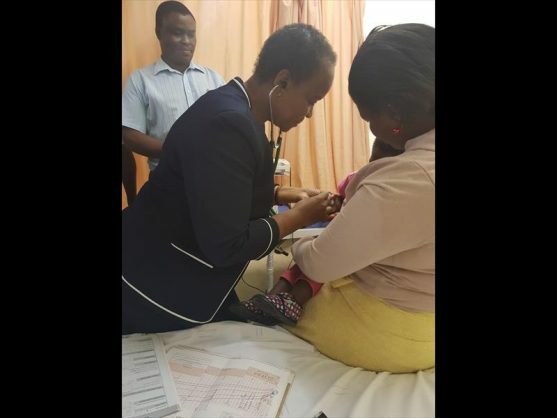 Gauteng MEC for health Dr Gwen Ramokgopa worked a shift at Stanza Bopape Clinic, in solidarity with workers in Mamelodi East, Pretoria, on Tuesday, Pretoria East Rekord reports. She joined the workers who were on duty to help out and show appreciation for essential workers on Worker’s Day. According to law, essential workers like healthcare workers, may not strike to the detriment of their patients, and have no holidays. Ramokgopa joined nurses and SG Lourens Nursing College student nurses doing their practical training in the maternity ward, before moving to casualty, where there was only one other doctor on duty. She said she had decided to join the Stanza Bopape Clinic staff because it was overburdened by patients who had been referred to it by the Phagameng Clinic, which was closed for renovations. She said she also wanted to see firsthand the progress the task team she had appointed to address the “safety and security matters” the clinic staff had raised with her during a previous visit was making. She said she was happy burglar proofing had been completed and CCTV cameras installed at strategic points within the facility to avert intrusions and strengthen safety and security of patients and staff. She advised staff to always ensure that norms and standards were not compromised, and the manager to develop and maintain clinical governance to sustain a performance ideal for the clinic. She also urged the district office to strengthen health promotion campaigns to reduce the disease burden and promote wellness, as well as introduce an award for the best performing ward in the area to incentivise staff.